The very worst offender, #1 on my list, is a deadlift. 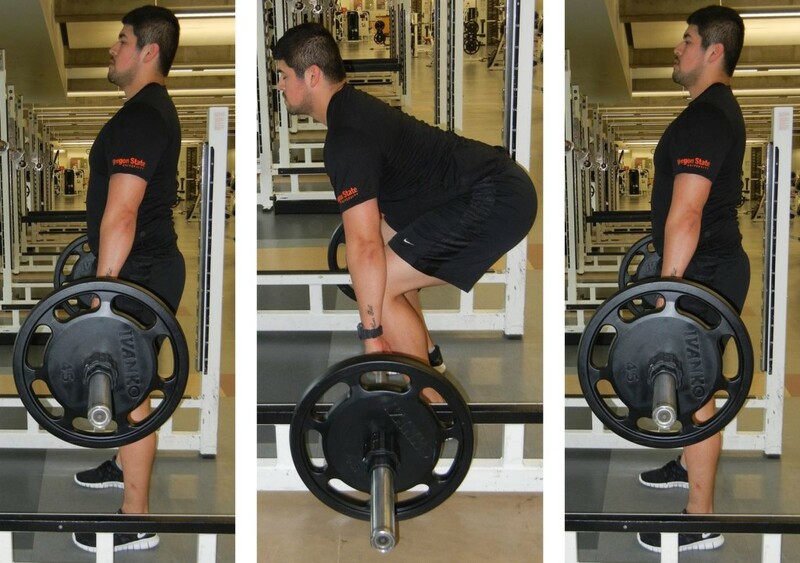 A deadlift is a tricky exercise – many people do them completely wrong and this is usually because they’ve never really been taught how to do them right and/or they’re trying to lift too much weight. However, if done correctly, it is a great exercise for the reasons described below. 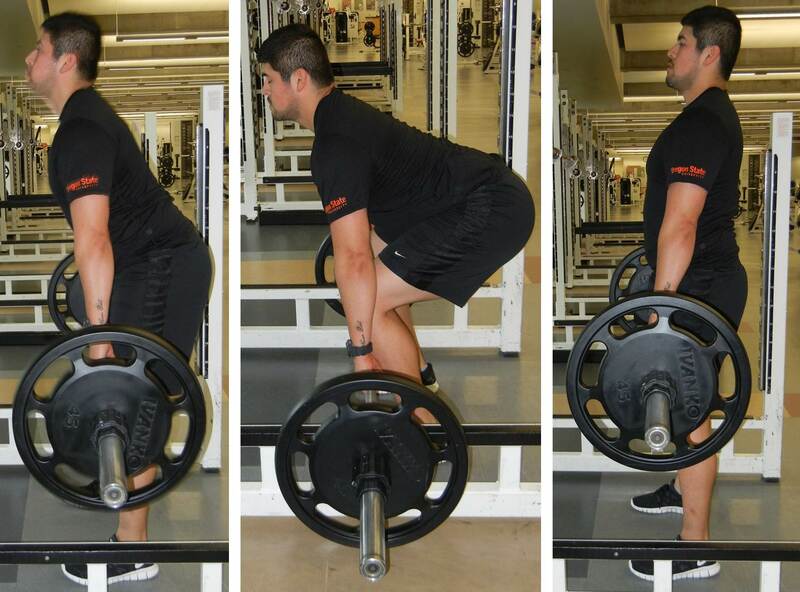 First, the purpose of a deadlift is to work the hamstrings and the glutes. This is good because we typically don’t work these muscles as much as we do our quads, so they tend to be weak which can lead to strength imbalances and an increased risk for pain and injury. 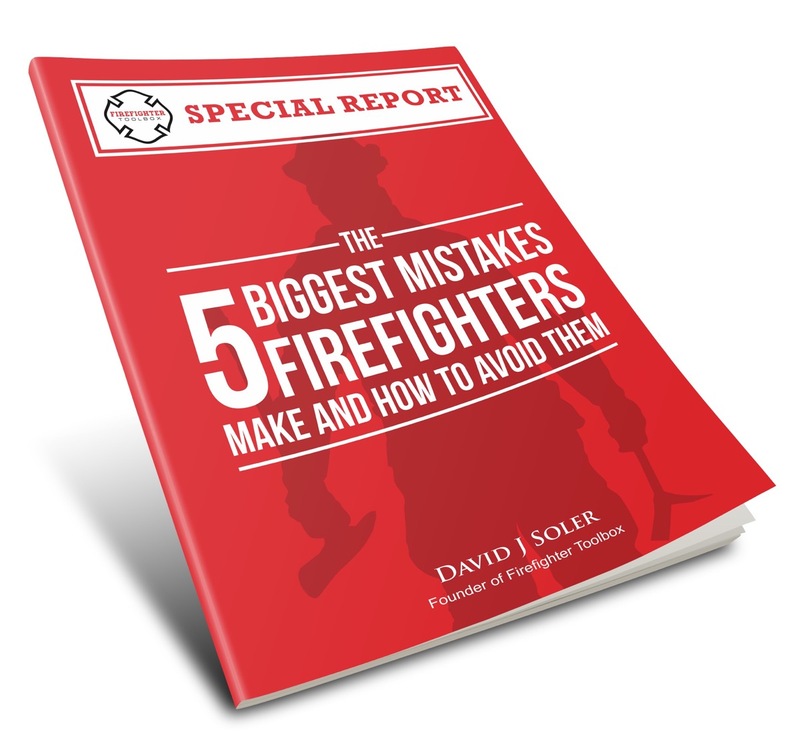 Second, spine researchers are recommending that firefighters lift in a way that mimics a properly executed deadlift (rather than the standard “lift with your knees” recommendation) because this is the way we can generate the most power from the hips and therefore reduce risk of overexerting the back and suffering an injury. The two biggest form mistakes people make when doing deadlifts are: 1) not engaging their abs which results in a non-neutral spine; and 2) not letting their weight shift forward onto the midfoot/toes. Engage your abdominals while still standing. Hinge over at the waist being sure that your back stays straight and is not rounded in either direction (“neutral spine”). Lower the weights to just below knee level, bending the knees slightly. Stand back up by driving your hips forward. Think of trying to point at something with your hips. As you come up, your weight should be shifting forward. If you were to do this motion with very little weight, your heels could actually come off the ground. In fact, it is so important to get the weight shift down, you should practice it this way before using heavier weight. Begin to straighten the knees so your hips go up in the air. This generates tension/power in the hamstrings. The bar should begin to come off the ground. Stand up by driving your hips forward. Think of trying to point at something with your hips.